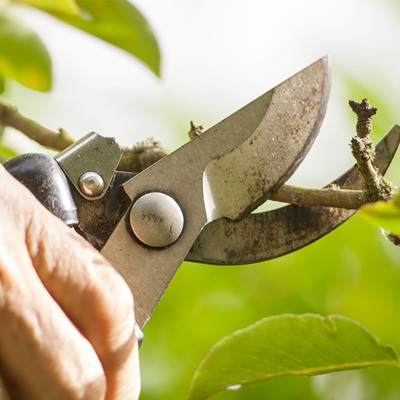 The Grange offers high quality blade sharpening, including garden pruners and shears, shovels, axes and tools, kitchen knives, pocket knives, and scissors. We also offer handle replacements. 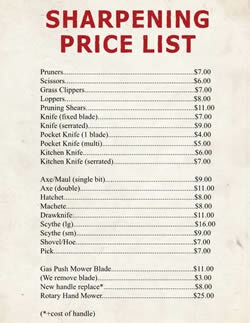 Note: Prices may change without notice. Feel free to contact us for current pricing.